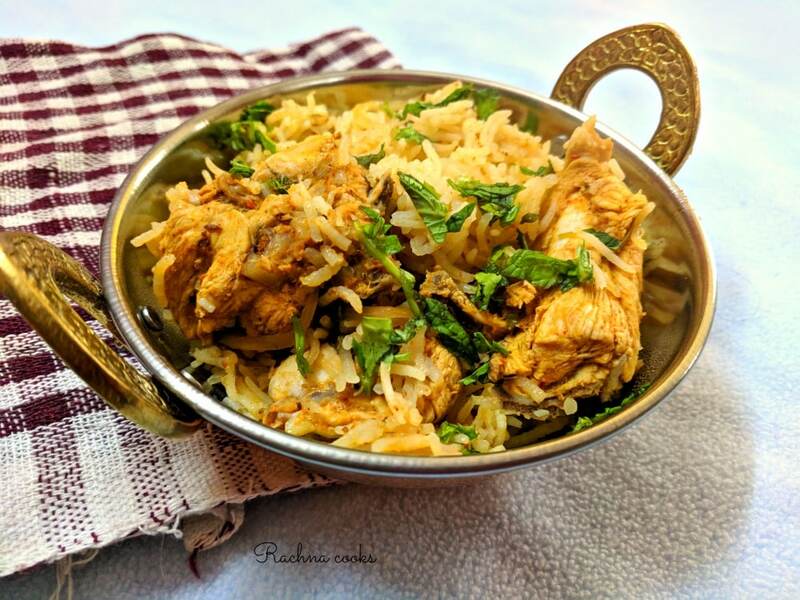 Chicken pulao is a delicious one-pot meal made with chicken and rice which is so easy to cook, you can easily make it on a weekday. Mix together all the marinade ingredients and make a paste. Marinate chicken pieces in it for an hour. Now heat ghee in a kadhai/thick bottom pan. Put in all the whole spices and cook for a minute. Now add the sliced onions and fry them till they are dark golden in colour. Add the marinated chicken and fry for about 4-5 minutes stirring continuously. Now add the soaked and drained basmati rice and gently mix. Add water to cover chicken and rice. Add more salt for the rice. Now cover and cook for about 30 minutes till the chicken and rice are well cooked. Garnish with some chopped coriander and mint and serve hot. 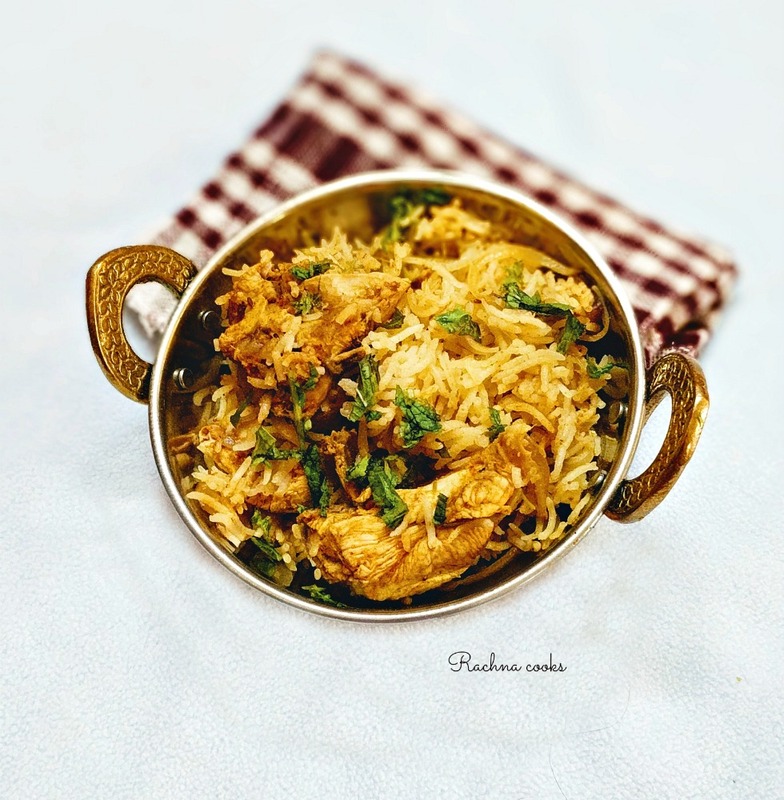 Your delicious chicken pulao is ready to eat. Don't mix the basmati rice vigourously or it will break. I add slightly less quantity of water and add more if it seems insufficient. Adjust spices like chilli powder and green chillies as per taste. This recipe is moderately spicy. 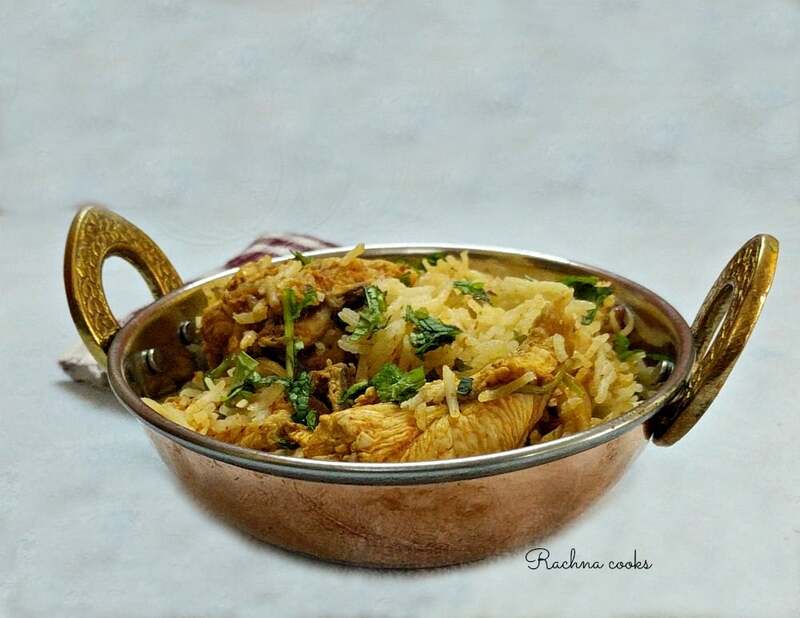 Do tag #rachnacooks if you make chicken pulao and share pictures. 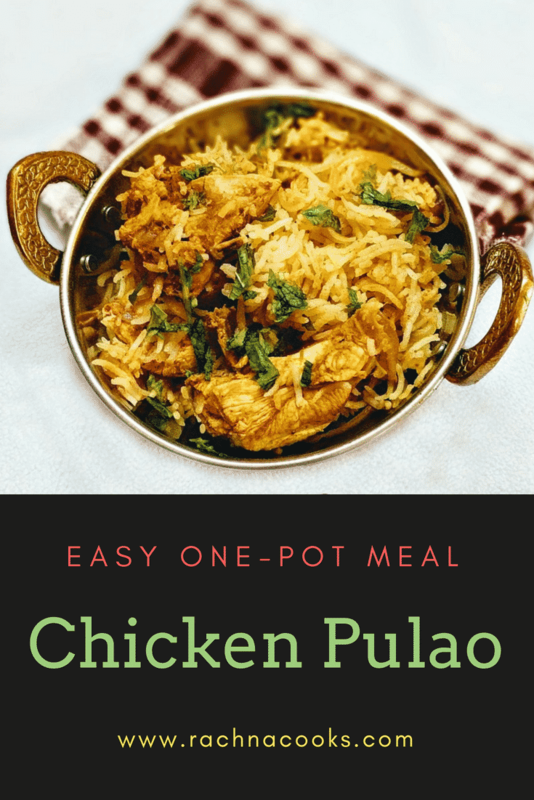 I would love to know if you tried out this easy recipe. Your blog is my one stop place for recipes. I don’t cook but I know when I have to, here is where I come ? this one is doable, Rachna! I so want to pick up a house near you ? This recipe looks easy to prepare. I make chicken biryani and the steps are a little more elaborate. Next time when I crave for chicken dish I will try this one. Thanks Rachna.